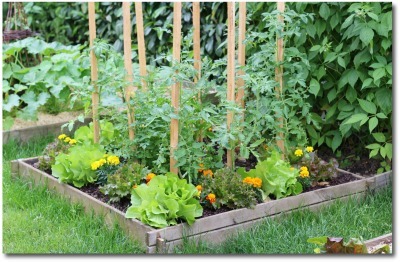 Thinking of building a raised vegetable garden bed? Use our free garden plans, pictures, and diagrams of raised gardens to help find the style and materials that work best for you! 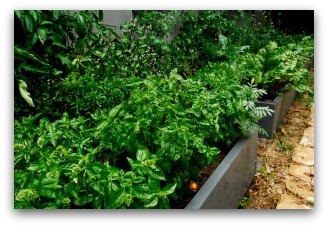 Why Design and Build a Raised Garden? 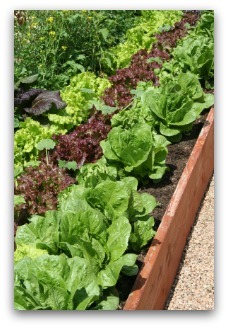 A raised garden is a great way to create a beautiful, convenient, and easy to use vegetable garden. This was a weekend project with two grandchildren as helpers. They had fun helping, and got to learn first-hand how to build and plant a raised bed garden! It is easier to control weeds; grass won't be able to creep in from the surrounding lawn. It can be filled with an ideal mixture of soil, compost, fertilizer, leaf mulch and any other amendments needed to create the best growing conditions for your vegetables. 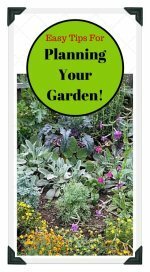 This short video shows many different styles of raised vegetable garden beds that are easy to plan and build. 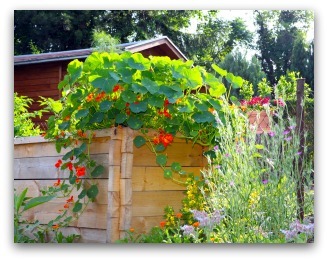 Choose wood, cement blocks, posts, or composite materials to build the frame for your raised bed vegetable garden. 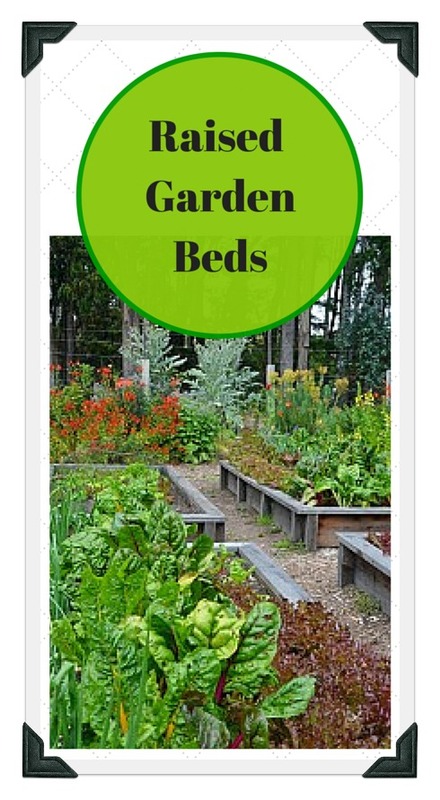 Important Tips for Planning a Raised Bed Garden! 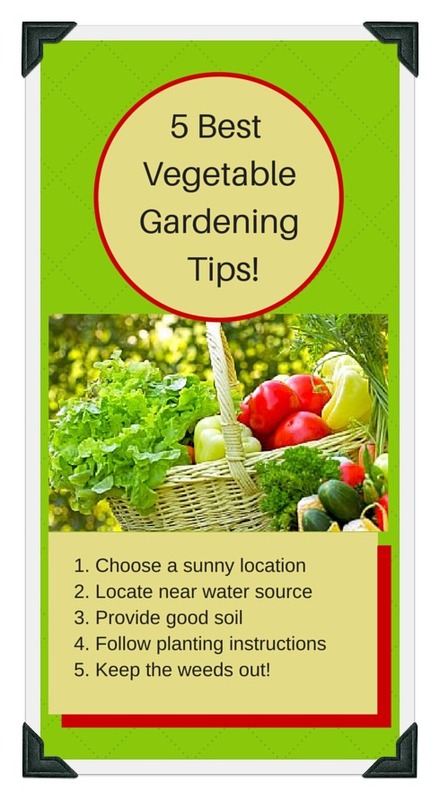 Choose an area in your yard that gets at least six hours of sunshine per day for your raised vegetable garden. A rectangular raised box four feet wide is very common, but if you are snugging it into the corner, an L-shape is just as simple. Make sure that you can reach to the center of the planter from all sides, as this will be essential whether you are planting, weeding, or harvesting! To Line, or Not to Line? If you have pesky moles or gophers, you may wish to take the time to line the bottom of your bed with newspaper or garden fabric. Lining the bed will also prevent noxious weeds from sprouting from deep underground. 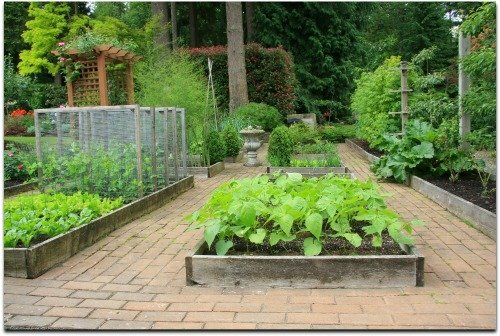 A raised garden can be mounded on top of the ground with no formal edge or border, or can be edged with wood, brick, stone, or other materials. If using wood, it is best to avoid pressure-treated wood, as the chemicals can leach into your garden soil. Go to a local building store, and make a great looking raised bed that can add beauty to your yard. What to Grow in a Raised Bed Garden? 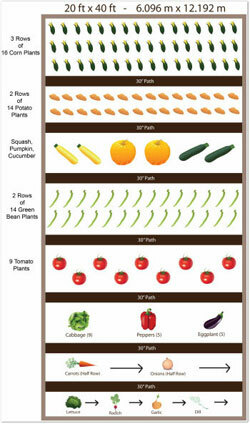 What vegetables can you grow in your raised garden? A visit to your local garden center will provide much information on plant and seed varieties that will grow well in your area. Green beans take more space, but are well worth the effort if you enjoy eating them. For zucchini lovers, one plant will provide all the zucchini your family can eat, with plenty left over to make zucchini bread! It is best to put your time and effort into vegetables that you and your family really enjoy eating. Tomatoes are a favorite garden vegetable, so be sure to include at least one tomato plant! 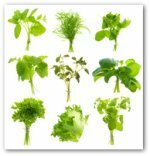 Smaller vegetables such as lettuce, radishes, carrots, onions, parsley, garlic, peppers, and tomatoes are often favorites and are easy to grow. 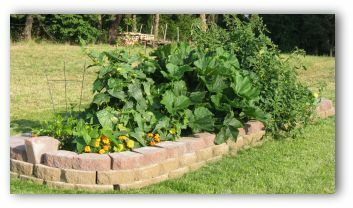 A cucumber is a nice addition to the raised bed garden, and if provided with a trellis or other support, will grow upwards instead of taking over too much of your garden space. 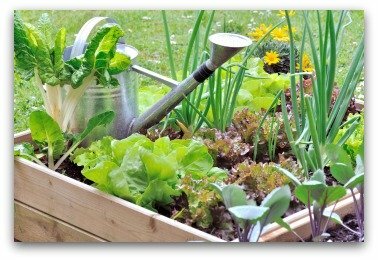 The first growing season will be a learning experience, and you'll gain some knowledge on which vegetables worked well in your garden. For example, you learn to grow your lettuce in stages, once you've ended up with a huge row of lettuce that you can't possibly eat before it gets too tall and goes-to-seed! If you put in some effort, and if you plan well, you'll find that a raised vegetable garden can give you plenty of fresh vegetables and produce to enjoy throughout the season!